Pick up your copy at Barnes & Noble . I actually picked up this book for my nephews to read. However I wanted to make sure it was age appropriate. They are eleven and twelve. The verdict is...it is age appropriate. Even though the cover may look scary with the evil monsters, it is not too scary. Plus, it has a good storyline that my nephews will understand and enjoy. I know I sure enjoyed reading this book. The mystery surrounding the Guardians had me intrigued. Thomas was a good hero. He kept getting more interesting as the story progressed. With his special talents. I know I would never want to face the monsters in this book. They are evil. Check this book out as you won't regret it. Thomas took her hand and tried to shake it, but she pulled it back immediately. “I’m Thomas,” he said with a smile, but her stern face remained unchanged. She wore a grey dress and her white hair was woven into a tight bun. At least seven pairs of glasses hung loosely around chains from her neck — some were tinted and the crystals in others looked cut in different angles. Thomas felt a little apprehension setting in. He’d only had to work for a woman once before in Fulton and it was one of his mother’s friends. She always received him with a warm smile and lemonade. Maybe he’d rushed his decision. Maybe working for this woman would be the deal breaker. Doctor Franco had told him that he could quit anytime, but right after meeting your boss? What would Grandpa say? “Yes, ma’am,” he answered as he slipped the tag over his head. She accentuated many of the words as she spoke and lifted her left eyebrow at the end of a question. Thomas found both things intimidating. “Yes ma’am,” he said. The door opened to a huge room filled with bookshelves from floor to ceiling. The room was at least three hundred feet long and thirty feet high. At the front of the room was a desk with a modern computer, a printer, and a comfortable swivel chair. Thomas felt a current of air moving through the library. He couldn’t hear the air conditioning, but he felt a draft on his arms and hair. The temperature inside the room had dropped and he shuddered involuntarily. Now that she mentioned it, Thomas perceived a faint smell of leather and a more distinct smell that he couldn’t quite place, like when entering a hospital. It was chemical, but he didn’t know what it was. “Mr. Byrne?” she asked when he waited too long to answer. “Good, this is your station,” she said pointing at the desk. “The computer already has your clearance, but to use it you need to be wearing?” She paused and lifted her eyebrow. “Those books will appear on this tray.” She pointed to a drawer on the right side of the desk. “All others on the aisles. Follow me.” She walked through the middle of the hall. The bookcases were arranged alphabetically. Each had a golden letter on the sides and tags on each shelf. As they reached the end of the hall, she stopped in front of a wooden wall etched with thick concentric circles. The circles covered a full quarter of the wall and extended all the way to the ceiling. It was Thomas’s time to lift an eyebrow. “Isn’t this the library?” he asked, and Mrs. Pianova adjusted the pair of glasses she was wearing. “No, Mr. Byrne, this is your station.” She paused. “I don’t need to remind you of your Non-disclosure Agreement. Do I?” she asked. “You just did ma’am,” Thomas answered with a playful smirk that made Mrs. Pianova purse her lips unnervingly. “Welcome to Pervagus library Mr. Byrne,” she said pressing a panel on the wall. There was a short hum and a mechanical sound as the wall with the etched circles began to rotate, disengaging internal locks, and the circles moved to the sides inside each other. The wall became a set of double doors that opened to a hall beyond what Thomas could describe as immense. The ceiling was at least ten stories high and the bookshelves disappeared in the distance. A clear crystal floor and metal beams supported each row of shelves. Robotic arms and elevators loaded with books ran on rails above the bookshelves loading and unloading their cargo into them. Thomas had been to a football stadium before, but he was sure that this room dwarfed that. “Everyone asks the same thing,” she snapped, cutting his question short. “I even know how to answer the next one.” She stared at him as if daring him to ask it. “We do have them in electronic format too, but we need them in print for a very specific reason.” She raised an eyebrow at him, his face betrayed that she had answered correctly. Behind her, a glass elevator appeared on a rail from the left. “So you work here alone?” he asked as she entered the elevator. “Definitely,” he answered but saw the eyebrow lifting. He added, “Mrs. Pianova.” The librarian nodded approvingly. Apprehensive or not, now that he saw the library he wanted to work here. 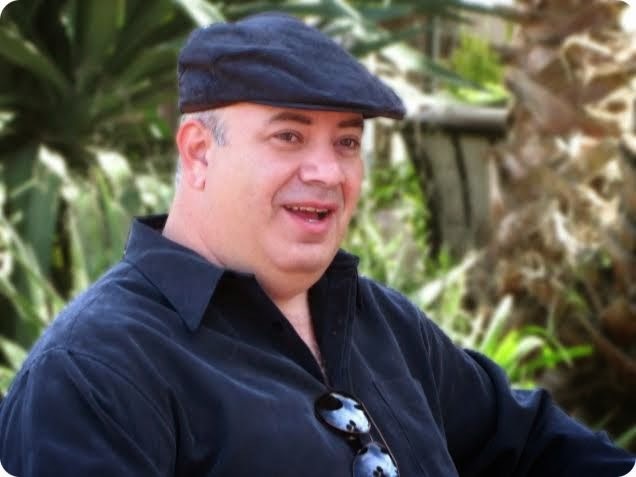 Julian Rosado-Machain has enjoyed pizza in three continents, worked in graphic design, armored vehicles, built computers, handcrafted alebrijes and swears that he has seen at least one ghost. He lives in San Diego, California. And enjoys the sun with his wife, three children and cat. 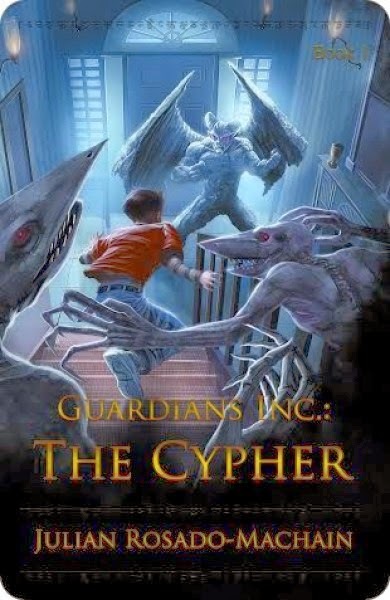 His latest book is the YA fantasy adventure, Guardians Inc.: The Cypher. Thank you very much Cheryl for having us at the blog! 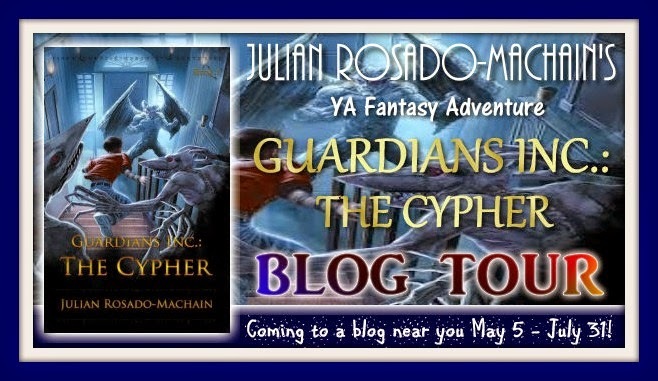 I placed The Cypher for free on all ebookstores in case someone wants to download it!